cncKad supports busbar punch and bending, and is integrated with EPLAN, a leading product for electrical design. 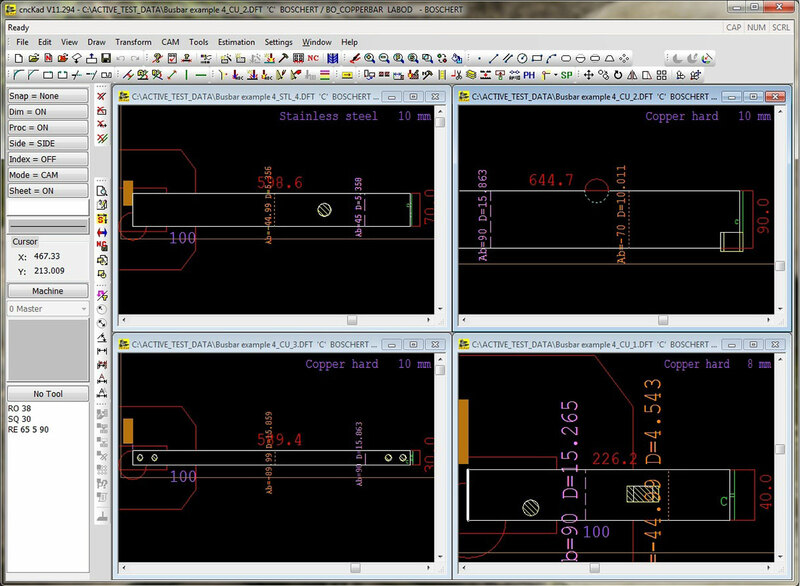 cncKad now supports importing of EPLAN designs, which include multiple busbar parts. You can edit bends and profiles, view the part in 3D and calculate the flat length according to bending tools. Once done, you can generate NC files for your punching and bending machines. Three-dimensional busbar parts designed in EPLAN can be imported directly into cncKad to automatically produce punching programs for Boschert CU-Profi and bending programs for the Stierli Bus Bender. The picture shows an example of loading an EPLAN design with four parts.